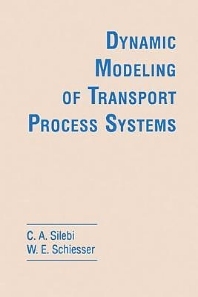 This book presents a methodology for the development and computer implementation of dynamic models for transport process systems. Rather than developing the general equations of transport phenomena, it develops the equations required specifically for each new example application. These equations are generally of two types: ordinary differential equations (ODEs) and partial differential equations (PDEs) for which time is an independent variable. The computer-based methodology presented is general purpose and can be applied to most applications requiring the numerical integration of initial-value ODEs/PDEs. A set of approximately two hundred applications of ODEs and PDEs developed by the authors are listed in Appendix 8. Written for junior-level chemical engineering students, but also of interest to chemists, mechanical engineers, electrical engineers, physicists, hydrologists, mathematicians and anyone involved with transport processes. The Nature of Dynamic Systems. Basic Concepts in the Numerical Integration of Ordinary Differential Equations. Accuracy in the Numerical Integration of Ordinary Differential Equations. Stability in the Numerical Integration of Ordinary Differential Equations. Systems Modeled by Ordinary Differential Equations. Systems Modeled by First Order Partial Differential Equations. Systems Modeled by Second Order Partial Differential Equations. Systems Modeled by First/Second Order, Multidimensional andMultidomain Partial Differential Equations. Appendices 1-9. Index. The R routines are available from http://www.lehigh.edu/~wes1/pd_download Queries about the routines can be directed to wes1@lehigh.edu W.E. Schiesser is Emeritus McCann Professor of Chemical and Biomolecular Engineering and Professor of Mathematics at Lehigh University. He holds a PhD from Princeton University and a ScD (hon) from the University of Mons, Belgium. His research is directed toward numerical methods and associated software for ordinary, differential-algebraic and partial differential equations (ODE/DAE/PDEs), and the development of mathematical models based on ODE/DAE/PDEs. He is the author or coauthor of more than 14 books, and his ODE/DAE/PDE computer routines have been accessed by some 5,000 colleges and universities, corporations and government agencies.